Helping you do business smarter! Our business philosophy at C3tek is not to offer our customers another “me-too” voip pbx system but to listen and understand how our customers operate on a daily basis, discuss technology needed and build a turn-key solution to obtain the cost savings, reliability, and quality that is critical to their success. Need assistance in choosing the right plan? Give us a call at 1-800-578-2220 and one of our technical team members will assist you with any questions or email us at support@goc3tek.com. Auto attendants greet callers with pre-recorded messages offering menus of touch-tone choices and connects the callers to the appropriate departments or extensions. This service filters and blocks all incoming calls based on a set of rules. For example, calls can be filtered based on whether they are anonymous, belong to specific caller or telemarketer. Lets you forward your incoming calls to another phone number. Allows you to place a call on hold so that you can answer another incoming call. Displays the telephone number of the person who is calling before the call is answered. Provides call detail records of inbound and outbound calls for each extension or account. Real time call monitoring allows authorized users to monitor and listen to calls of one or more users in real time. This feature is protected by access level permissions. Allows user to put a call on hold from one telephone and then retrieve the call later by dialing an internal number from any telephone. All incoming and/or outgoing calls made by any extension or call agent can are recorded automatically. Allows you to see who’s calling before you decide how or whether to answer the call. It gives you the ability to prepare for important calls and skip those that are not so important. Allows you to do an attended or blind transfer of incoming calls from your phone to another phone number or extension. Lets you receive incoming calls when you’re already on the phone. 411 directory assistance allows youto find out a specific telephone number and/or address of a residence, business, that you would like to contact. The directory is used to enter all extensions that you want as contacts and when used with a Busy Line Field enabled phone, you can select which of those extensions will be monitored by your BLF buttons on the phone. Prevents some or all of your incoming calls from ringing you on your phone. Your name & address are automatically given to your local dispatch center or Public Safety Answering Point (PSAP) when 911 is dialed. If you move your VOIP device to another location, you must update the service with the new location. It allows an extension to ring multiple extensions or outside telephone numbers to locate you. Group hunt rings a number of extensions at the same time allowing any of those extensions to answer the call. 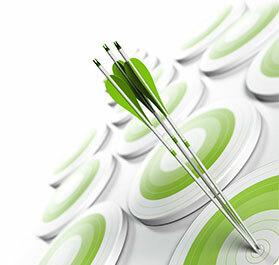 Record inbound and outbound calls for your extension whenever it is required. The user can find out the last number that dialed his or her line and then redial the number. Local Number Portability is the ability to keep your current phone number and bring it to your new phone service provider. Your phone’s message waiting indicator (MWI) is either a light or special dial tone that alerts you when you have voice mail waiting. 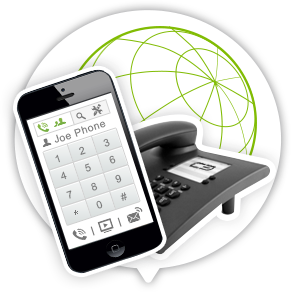 Take your phone system where ever you go and have the same great features of your desk phone on your mobile device. Allows you to manage your phone features, listen to voicemails as well as view call logs from the internet. Paging/intercom supports one or more phones to automatically answer the calls using their speakers. This is a feature that allows you to call the PBX system which will identify you by your Caller ID, hang up on the call, and then call you back on the number that is provided in this list. Allows mobile user to call the system in order to be called back. Once callback is established and user is authorized, any destination or telephone number may be dialed for which the user has privileges. Assign a number of extensions into a group. 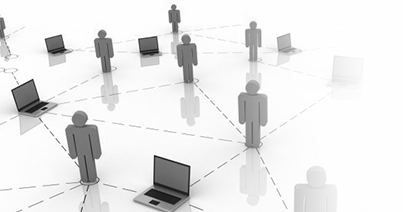 Any calls placed to that group will ring all extensions belonging to that group. This service allows messages to be transmitted to multiple phones by dialing ‘*399’. C3Tek’s soft phone works on any PC and allows you to dial and receive calls, send/receive faxes and more. Allows you to add a second call to an active phone call. Voicemail may be checked securely by dialing the cloud PBX and entering your extension and pass code to retrieve your messages. Messages also may be retrieved by accessing your account via the internet. Voicemail groups allow users to send a message to a group of users by dialing a single number and leaving the message. When voicemail is received, it is sent as an audio file to the email address specified. At C3Tek, we are constantly evaluating and updating our network infrastructure to provide the best-of-breed technology that our customers demand to remain competitive in the market place. Our network is built on solutions supplied by the market’s leading vendors to ensure the highest quality of service, reliability and redundancy.